Generally Oregon constructs the trussed rafter roof of a building on the building’s ground floor structure, reducing or avoiding the need to work at height. 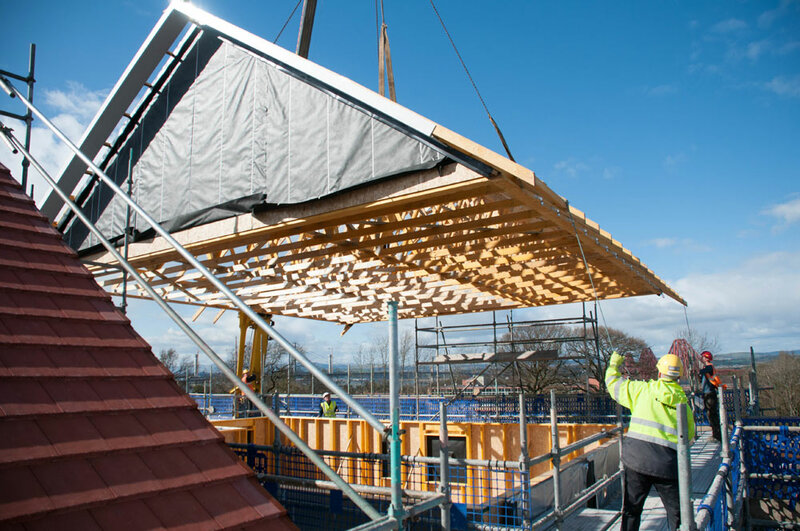 When the roof structure is complete (in some instances including roofing felt and counter battens) it is lifted off to one side allowing for the erection of the structural timber frame floor and wall panels. 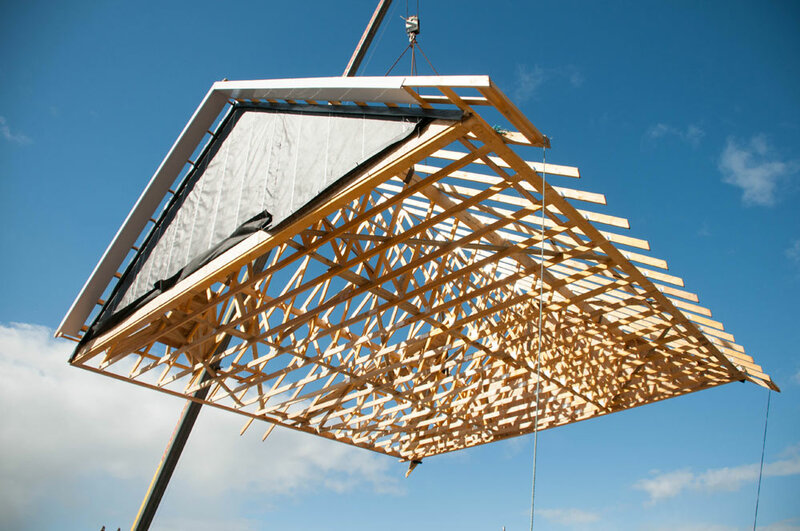 The pre-fabricated roof is then craned back onto the erected structural frame, usually in one day, delivering a quick, safe build.